Yes, Vancouver fans, this is an article giving you the respect that you all so desperately crave (Vancouver fans are like that attractive girlfriend who asks if she’s fat so often you start to believe she really is). The first smart move the Canucks made this off-season was letting Pavol Demitra walk. When the Canucks first signed Demitra I thought it reeked of desperation. Signing Demitra for $4 million a year would have been great in 2000 – but not in 2008. 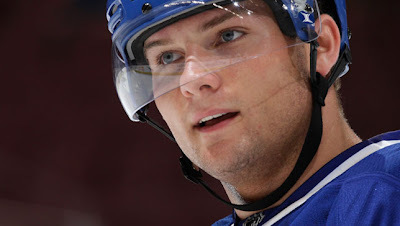 Aside from being injured for most of his stay in Vancouver, Demitra was largely invisible. This isn’t surprising considering he hasn’t been very good since he was on St. Louis – which was before the lockout. Luckily both Kesler and Burrows emerged as quality top-six forwards (okay, I still think Burrows is fake) otherwise the Canucks would lack any secondary scoring behind the Sedins. With the money the Canucks saved by burying Pavol Demitra’s rotting carcass they addressed their blueline, which is seemingly plagued by injuries every season. They traded for Keith Ballard (unfortunately known as the guy who threw a puck in his own net and also tried to tomahawk chop Tomas Vokoun’s head off) and signed Dan Hamhuis. Both are good two-way defencemen who will be an upgrade on the blueline. I’m not a huge fan of letting Willie Mitchell leave, considering he was their best shut-down defenceman, but his age and concussion history leave his playing career in question. The Canucks don’t have a true number one defenceman, but seem comfortable playing a defence by committee system. I have no beef with that. At this point the Canucks will likely trade a defenceman, since they have seven or eight players capable of playing in the top-six and they are close to the cap limit. They could use another forward, so if they can parlay someone like Kevin Bieksa into a top-six player then they could become even more formidable next season. However, you know Sami Salo is going to miss 15-30 games, so having an extra defenceman isn’t the worst thing for the Canucks. Barring any trade, the main forwards for the Canucks remain the same as they were last season. However, the Canucks could find an internal upgrade for the departed (Demitra, Wellwood). Cody Hodgson has done everything there is to do in junior hockey and is likely to make the Canucks out of training camp. He was pencilled into the line-up before last season started, but a poor performance in camp and a back injury forced the Canucks to slow his ascension. Hodgson is the third ranked prospect in all of hockey according to Hockey’s Future and was the CHL Player of the Year in 2009. He’s 20-years-old and has all the makings of an excellent two-way forward. If Hodgson makes the team the Canucks will have Henrik Sedin, Ryan Kesler, and Hodgson as their top-three centres. That’s really, really good. Hodgson could be joined by Jordan Schroeder and maybe even Sergei Shirokov (super Russian name). Schroeder was the top collegiate player in the 2009 draft and was selected 22nd overall. He too has the makings of a good two-way centre, despite being undersized. He led the US in scoring at the 2009 World Junior Hockey Championship and was assigned to the Manitoba Moose of the AHL after the end of the 2010 college season. He scored 9 points in 11 regular season games for the Moose and added six points in six games during the playoffs. I’m not going to lie, I know nothing about Sergei Shirokov, but his super Russian name has me intrigued. That’s why I said maybe he will make the team (maybe he will! Just don’t take my word for it). After a super quick stats master I discovered that S.S. was the second leading scorer for the Moose with 45 points in 76 as a rookie. If these young players, in addition to Mason Raymond, are able to provide the Canucks with the type of depth that the Hawks received from young players like Bolland, Versteeg, and Byfuglien, then they will be the best team in the entire league. But the youthful insurgence in Vancouver isn’t just up front. The Canucks let Andrew Raycroft sign elsewhere because Cory Schneider seems ready to become a NHL goalie. He’ll backup Roberto Luongo, but should receive a fair amount of playing time. Luongo tired in the playoffs the two previous seasons, which suggests he could benefit from a reduced workload during the regular season. If Schneider can provide the Canucks with 20-25 quality games they will go into the playoffs in better shape. (Yes, I know Raycroft played 21 games last year, but that was mainly due to injuries to Luongo who also played heavy minutes in the Olympics). The Canucks had a great off-season, which is also what Kyle Wellwood has every summer as he drinks beer and hangs out at his cottage. However, Vancouver did not have a mistake free off-season. Signing Manny Malhotra to a three-year deal worth $2.5 million per season with a NTC seems excessive, but Malholtra may just provide the Canucks with the grit they’ve always lacked come playoff time. At this point, last season’s second highest scoring team is riding themselves of dead weight up front, while adding potential breakout young players. They also bolster their defence, which was the 12th best in the league last season. These are the additions to a team which already boasts last season's MVP and one of the premier two-way centres in the league (talking about Kesler). I’d say this team is ready to take a leap forward next season. They’ve had two bitter playoff loses in a row to Chicago which should motivate everyone heading into next season. This is a team that should carry a chip on their shoulder and play with an edge all year-long. I think even if the LA Kings sign Ilya Kovalchuck and trade for Tomas Kaberle they still won’t be the team to beat in the Western Conference. They’ll be close, but I’d still give the (super) early edge to Vancouver. Maybe I'll do a post talking up the Kings when they sign Kovalchuck. Look for it early 2045.